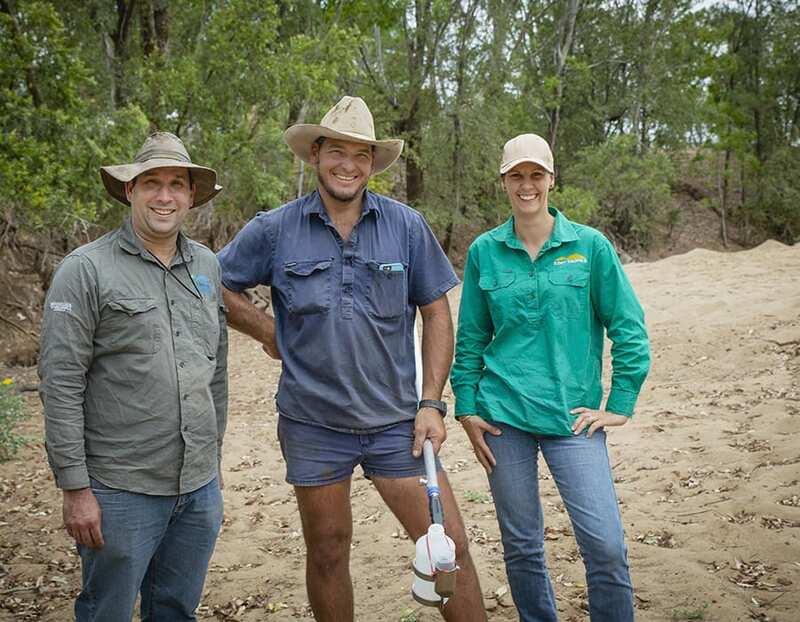 Bowen and Collinsville graziers have formed a community water quality monitoring group to improve knowledge and understanding of water quality in the Bowen Broken Bogie (BBB) catchment. Graziers will collect water samples during the wet season at nine sites located across the catchment that have been identified as lacking historical high flow event water quality data. An initiative of NQ Dry Tropics’ Landholders Driving Change project, the aim of the water quality monitoring is to improve the BBB community and State Government’s understanding of BBB sub-catchment sources of suspended sediment and associated nutrients discharged during wet season first flush and major flow events. The data collected will be used by the Queensland Government’s Paddock to Reef program which collects and integrate data on agricultural management, catchment indicators and loads, and the health of the Great Barrier Reef. Grazier Buster O’Loughlin, of Exevale Station, said he volunteered to take part in the program because it opened the way to graziers’ knowledge and innovation complementing the formal science. “This is an opportunity to find the missing pieces of the puzzle to enable us to have a more accurate picture of water quality in the BBB,” Mr O’Loughlin said. “Understanding local water quality means landholders’, and other land managers, including utility companies and mines, can adopt land management practices based on the best available science. Scottville resident Garry Reed said he believed the water quality data would help the wider community to better manage land use in a responsible and sustainable way. “This is a credible science-based piece of work, one that will provide information that will help us manage land in a sustainable way for generations ,” he said. NQ Dry Tropics’ LDC Monitoring and Evaluation Officer Barb Colls said she expected the BBB community-based water monitoring program to foster a strategic partnership between government and the monitoring group. “Community-based monitoring broadens traditional scientific approaches and enhances social capital by strengthening the bonds within the community and with regulators,” Ms Colls said. “This is why it’s important that scientists are involved with LDC, linking science with graziers in a way that enables research to be adapted, packaged and communicated in a more meaningful way,” she said. The Centre for Tropical Water and Aquatic Ecosystem Research (TropWATER), hosted by James Cook University, trained the graziers in sampling techniques, and will also be analyzing the samples. 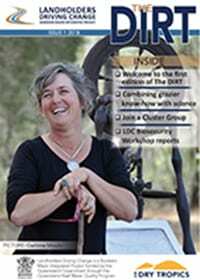 Results are expected to be available to share with landholders and the community by late May.